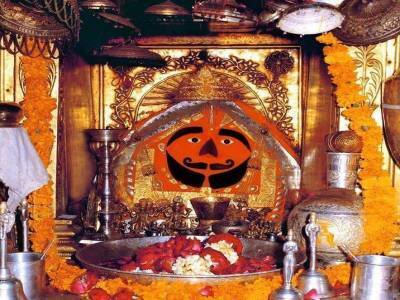 The Salasar Balaji is a temple dedicated to Lord Hanuman, situated in the state of Rajasthan, India. 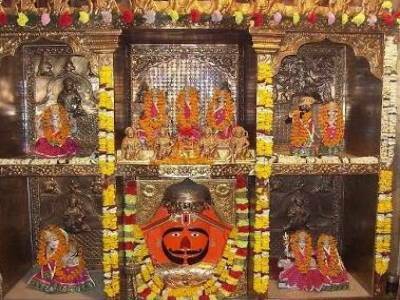 To be precise the Salasar Dham, as many call it, is located in the Salasar town of Churu district of Rajasthan. The legend behind the establishment of the temple is indeed a tall one. It is believed that a certain farmer of Asota in Nagaur got a stone in his field while ploughing. 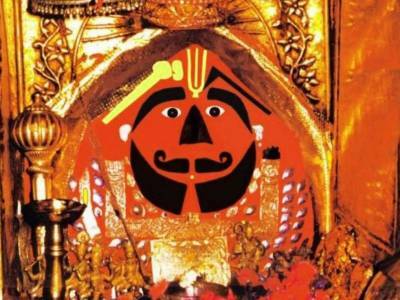 The stone was the relic of Hanuman, known as Balaji. The village headman immediately took the relic in his custody and began worshipping it. One night the headman got a divine revelation of sending the relic to Salasar. On the same night, the king of Salasar also got another divine revelation to set up a temple for the relic. After much awe and efforts the temple was finally established and is still being worshipped by all with great devotion. The legend aside the temple was set up in 1754 CE by Mohandas Maharaj with the help of Muslim architects. In course of time, the temple was remodelled many times to give it its current form. The temple complex is an art of architecture. The Salasar Balaji Temple is built with brick, mortar and marbles, sighting its history of renovation. The use of mosaic, white marbles and gold & silver wares in the sanctum, walls and gates of the temple are jaw dropping. There are many rituals of worship in this temple. The Salasar Balaji is a religious circuit of the region because many temples are located nearby, acting as its sightseeing destinations. 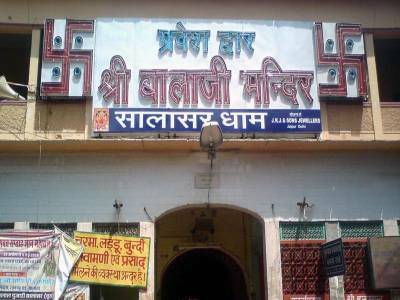 Being located on NH65, there is no commutation crunch for the travelers and devotees going to or returning from Salasar Dham. 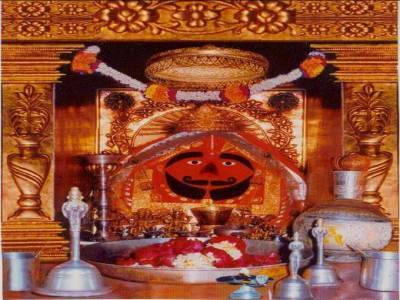 Get quick answers from travelers who visit to Salasar Balaji.